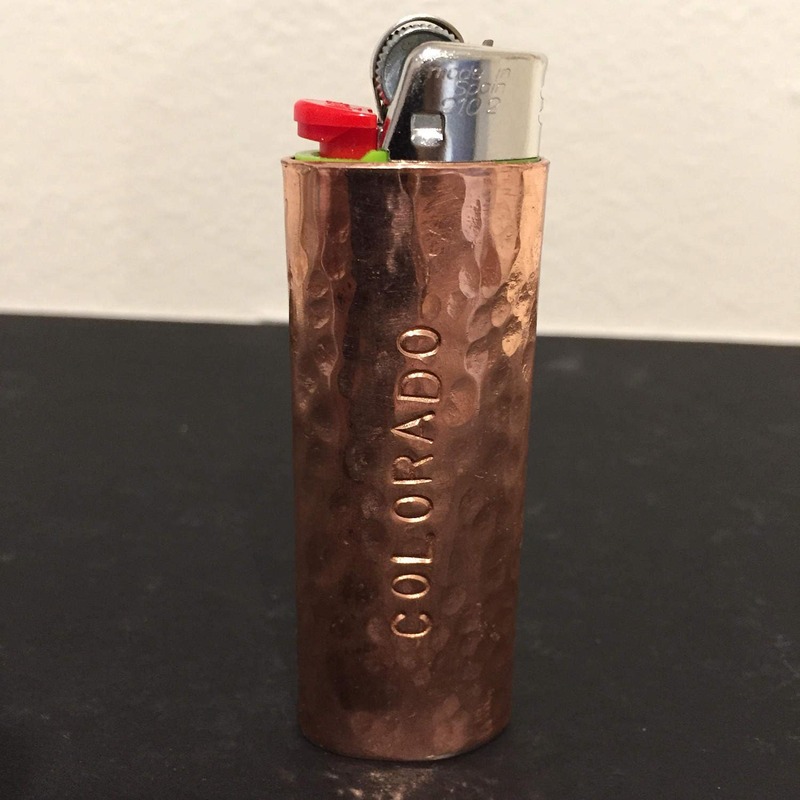 Pure Copper Lighter Cover with Colorado stamped engraving. 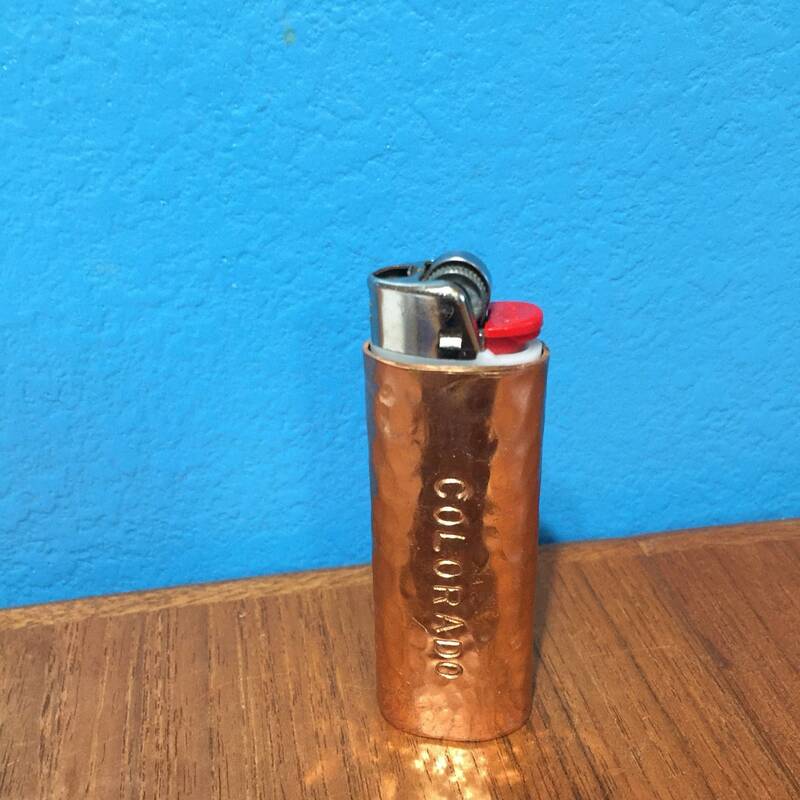 Fits standard size Bic lighters. 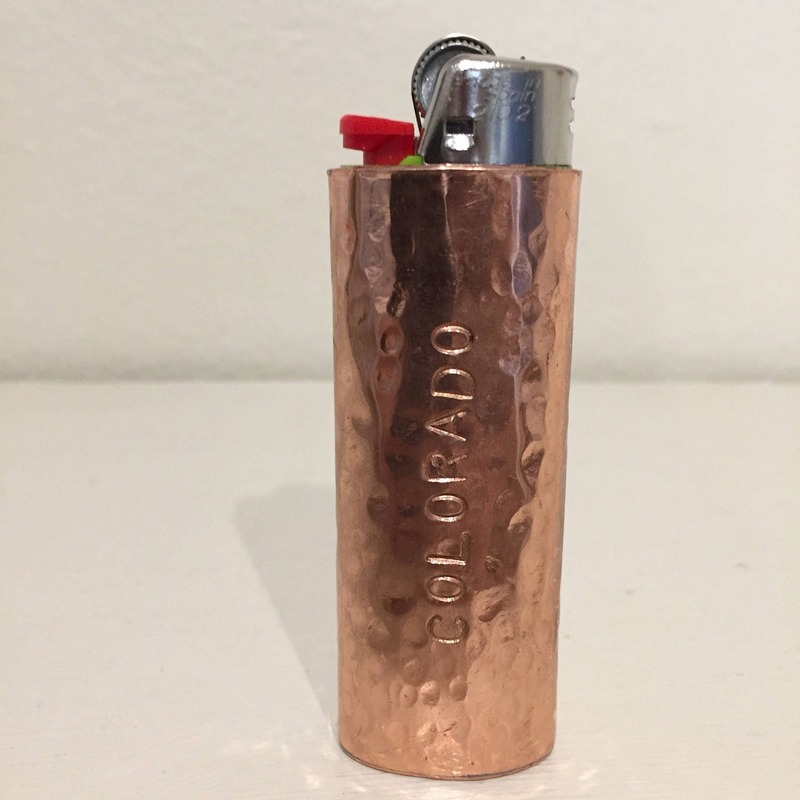 Dimensions: 1" x 2 3/4". 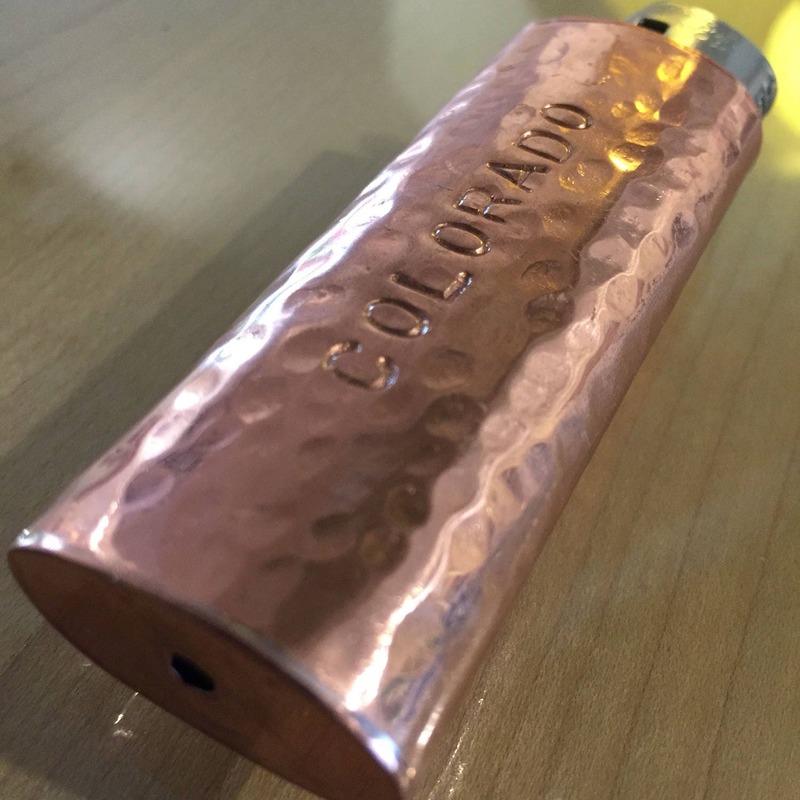 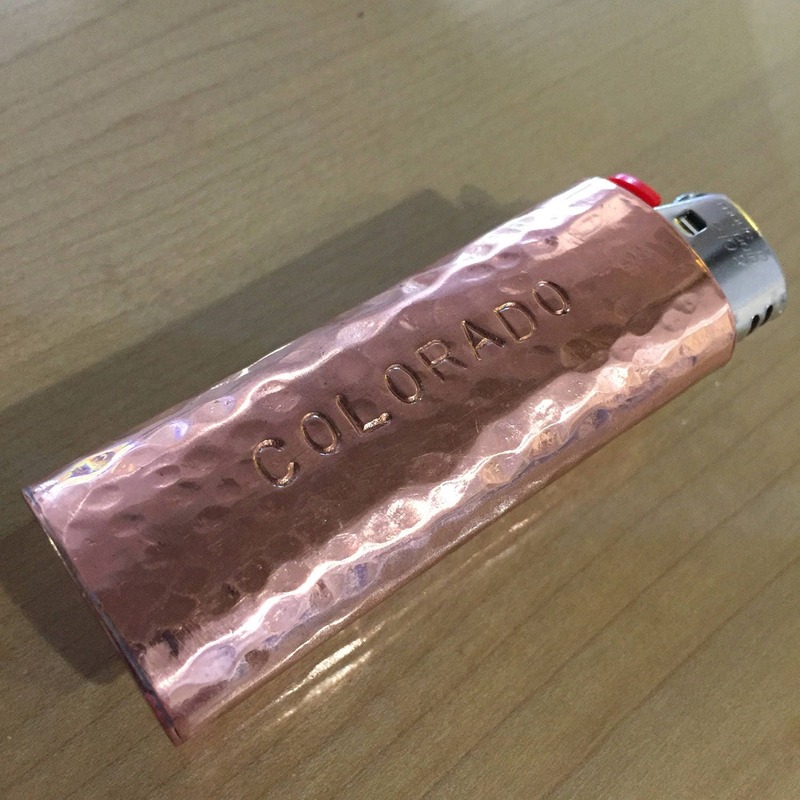 Show your Colorado pride with this handmade copper lighter cover. 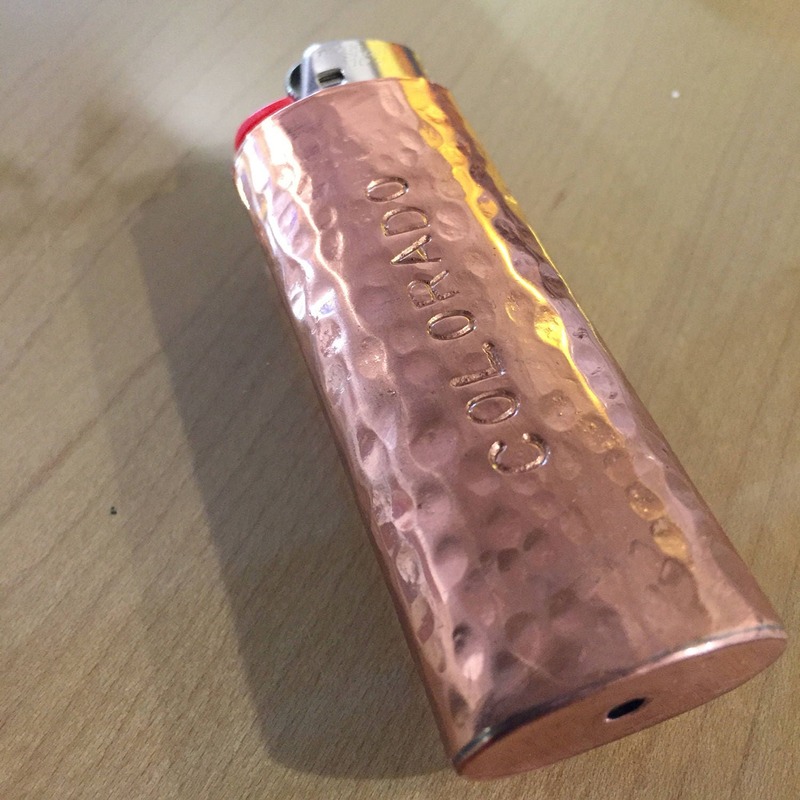 Hammered texture and hand engraved logo make this copper lighter cover truly unique.